KJK is pleased to welcome Kate Hickner as Partner in the firm’s Health Care Practice Group. Kate brings more than 15 years of experience in nearly all areas of health care law, helping organizations achieve their business objectives and charitable missions consistent with state and federal health care regulations. Kate specializes in transactional matters and compliance, including federal Stark and state self-referral laws, federal and state anti-kickback laws, HIPAA and state privacy laws, and federal tax-exempt laws. Her clients include physician groups, hospitals, large health systems, retail and compounding pharmacies, accountable care organizations (ACOs), home health agencies, hospices, nursing homes, ambulatory surgery centers, medical device companies, and businesses that provide practice management and related services to healthcare providers. Kate has written articles that have appeared in more than a dozen publications, and frequently gives presentations across the country providing insight and analysis of laws that impact the healthcare industry. She holds a B.A. from the University of Michigan and a J.D. from Wayne State University Law School. She serves on the boards of the McGregor Foundation and the Inamori International Center for Ethics and Excellence. 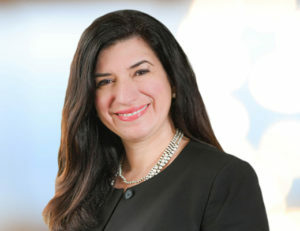 She also holds leadership positions in the American Health Lawyers Association and the Health Care Law Section of the Cleveland Metropolitan Bar Association.